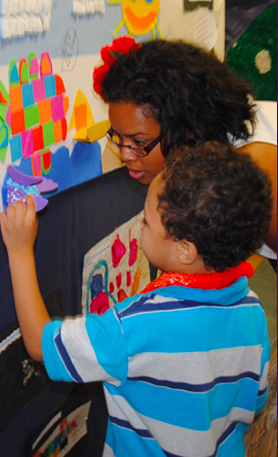 Back in 2011 HMESF expanded their Library Initiative to six new child development centers in New York City. One of these centers was Northside Center for Child Development. 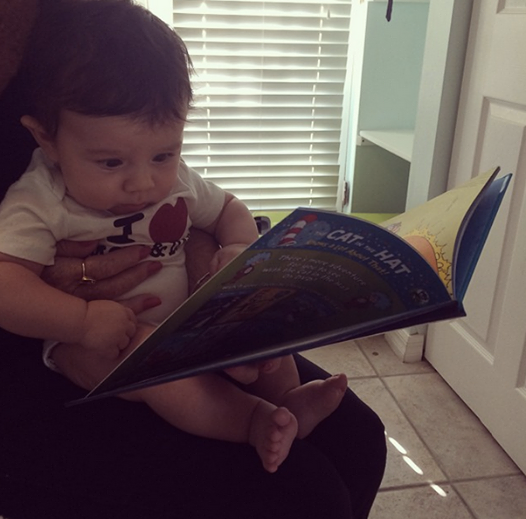 At HMESF we are firm believers in the immense impact that early child literacy has on the educational, emotional, and social development of a child. Children's brains develop at their fastest rates from ages 0 to 3, and it essential to lay the necessary foundations at this time so that children are as prepared as possible for the next part of their education. 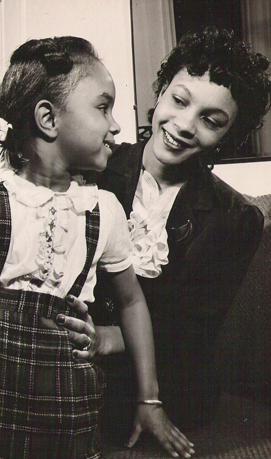 Northside is a nonprofit organization serving NYC since 1948, aimed at fostering the development of children and their families, providing them with education resources, mental health care and other support services. Through their various programs, including Early Head Start for children ages 0 to 3 and Early Intervention, Northside serves over 3,300 NYC children and families each year. They have made such a huge impact for disadvantaged children and families, and it has been an honor to supply Northside with some of the resources they need to help NYC children and families. It is because of the support of our amazing donors that we are able to supply centers such as Northside with the resources they need to succeed. With this year's grant, Northside Center will be acquiring over 85 new books for their children. 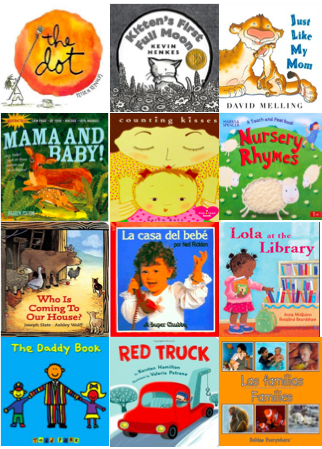 Here is a little preview of the types of reading materials that Northside will be able to provide their children. Learn more about Northside Center and how you can support their initiative here. 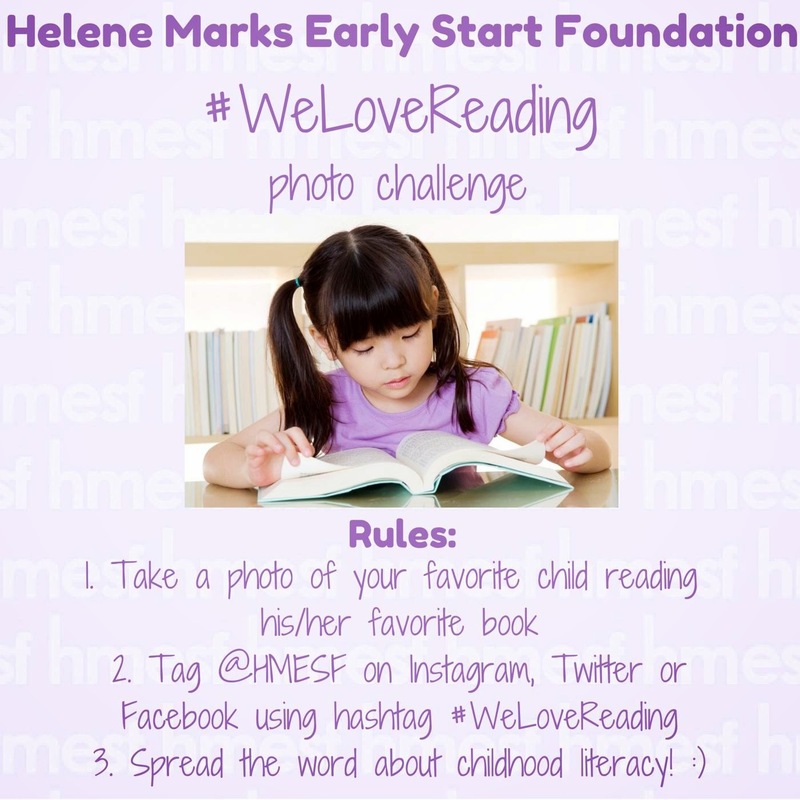 #WeLoveReading Photo Challenge: Spread the Word! "Reading aloud with children is known to be the single most important activity for building the knowledge and skill set they will eventually require for learning to read." 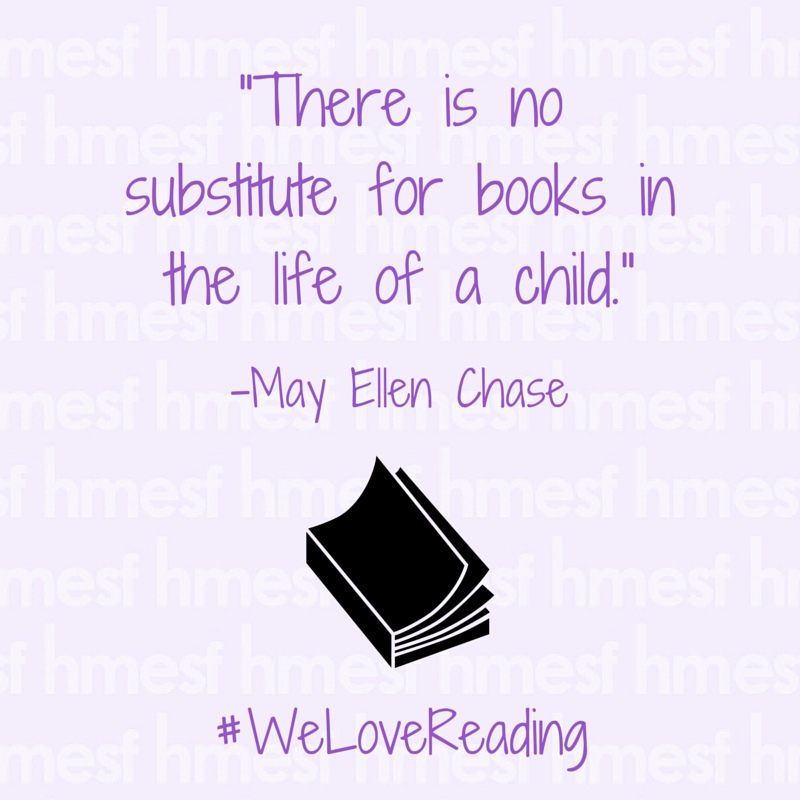 For this reason and so many others, we believe that reading is absolutely essential for young children. 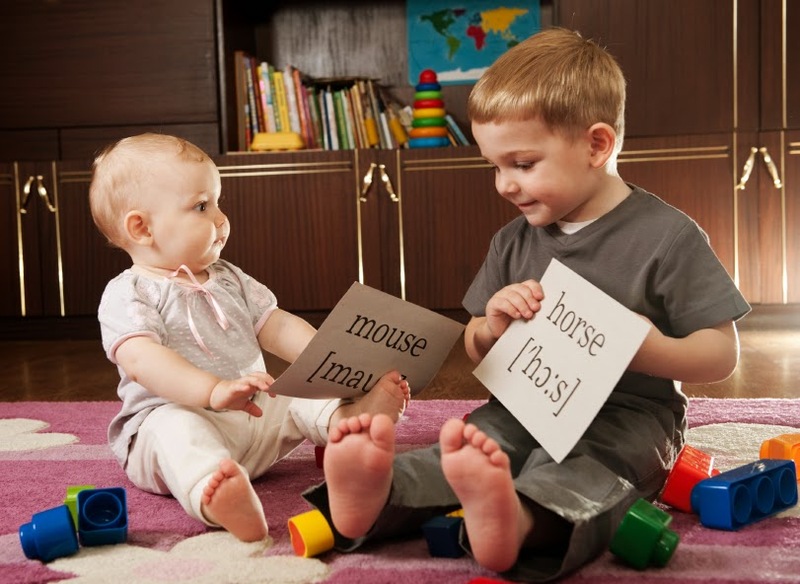 According to a study published in Child Development journal, children, by the age of 2, who are read to regularly display greater language comprehension, larger vocabularies, and higher cognitive skills than their peers. Children who are regularly read to are not only prepared to start school, but they are given the opportunity to get ahead from a young age. Unfortunately, one of the largest problems facing childhood literacy is poverty. According to the Council of Children and Families, Kids Count Data Book 2013, 23% of New York children live in poverty. Poverty is linked with negative conditions such as substandard housing, nutrition, and education, including literacy. 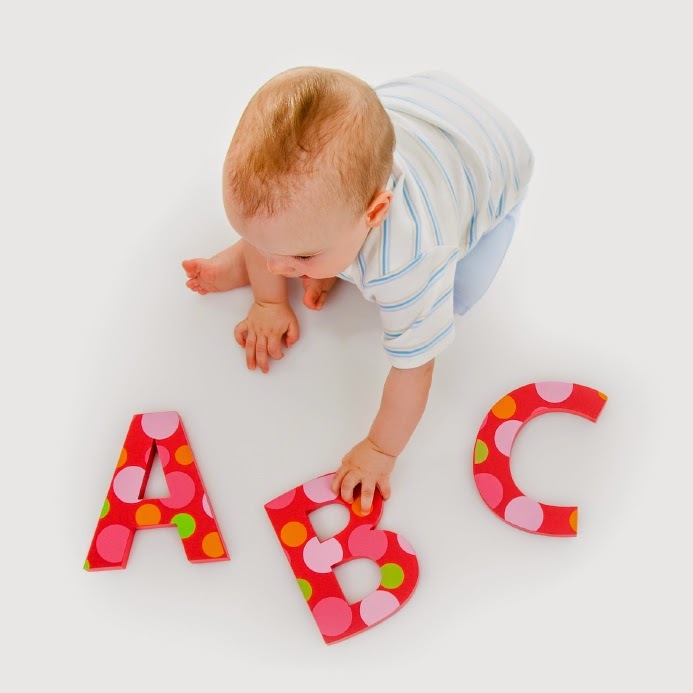 According to a national longitudinal analysis by the U.S. Department of Health and Human Services, economically disadvantaged children may know only one or two letters of the alphabet when entering kindergarten, while children in the middle class will know all 26. We need to lessen this gap. 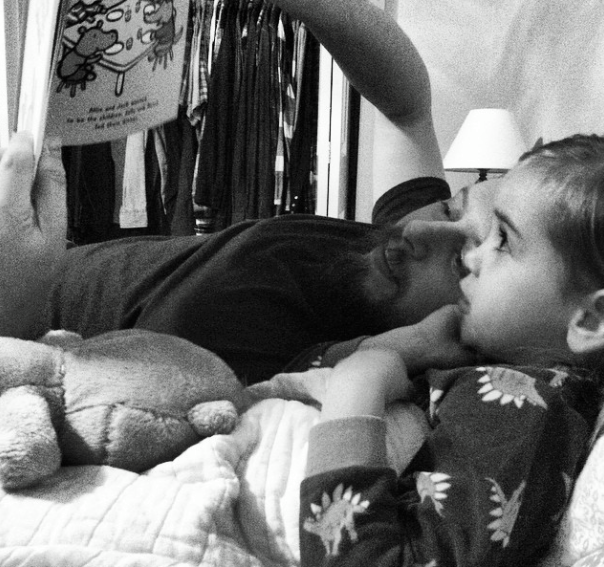 We have absolutely loved the photo submissions so far, and we're looking forward to seeing even more children reading. 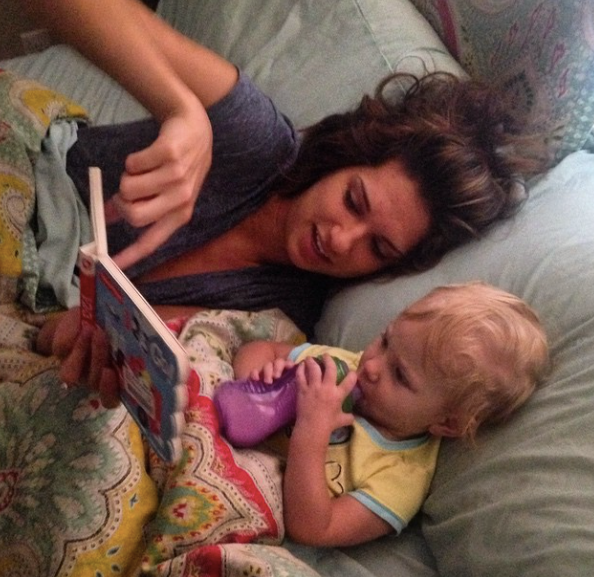 Join the #WeLoveReading challenge, take a photo of your favorite child reading, and most importantly pass it on! Share the above image with the challenge rules or share a photo. It's an easy and fun way to make a difference! Here are a few great submissions we've received so far. 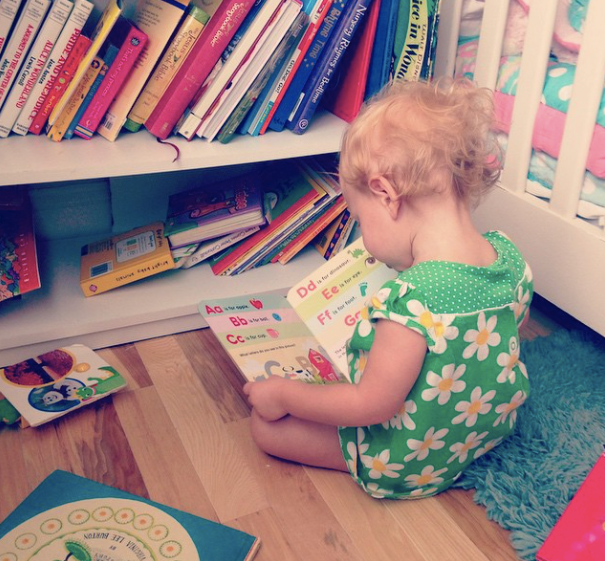 Check out #WeLoveReading on Instagram to see more! Thank you to everyone who has submitted a photo so far! Together we can make a difference. We're really excited about this week's events; science, music, history, art and more! Get out and enjoy the beautiful fall weather with your little ones, and as always, for more fun ideas check out Time Out New York and Mommy Poppins. Kids will LOVE this event (and we’re pretty sure parents will as well)! Kids get to explore the museum, interact with live animals, play the role of scientist exploring exciting new artifacts, dress-up in various historical costumes, enjoy live music and dance and so much more. Your family will have a blast and learn in the process. Learn more here. WHAT: For only $10/family art lovers ages 4 to 7 will enjoy a tour of the collections, with an emphasis on use of color in art. They will get to have some hands on craft time experimenting with colors. 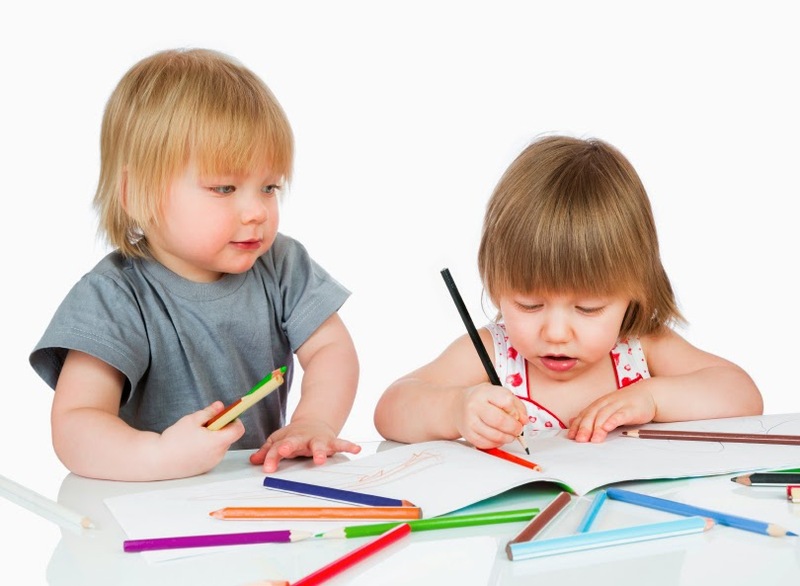 Arts and crafts is a wonderful way for children to develop creativity. Learn more here. New this fall, the Brooklyn Academy of Music will be holding a series of international music performances in various genres of music, which parents and children can participate in. 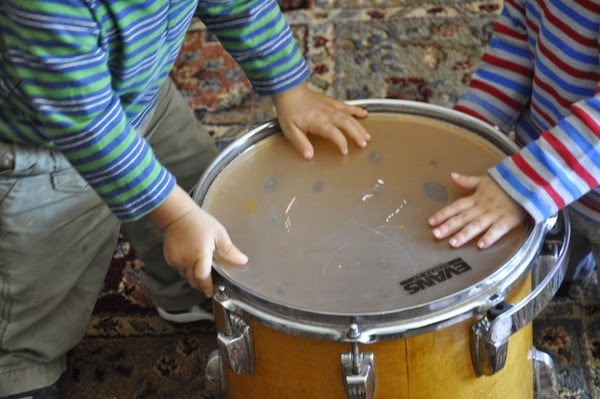 Your little ones will love the sing-a-longs and dancing and can even lend a hand in performing with instruments! Learn more here. The circus is back in the Big Apple! Watch the amazement on your children's face as they watch the incredible acrobatics, juggling, transformation acts, contortionists, talented animals and countless other incredible feats. As an added bonus, kids get in free on Wednesdays! Don't miss it! Learn more here. WHEN: Friday, October 17th- October 31st, varying times. See link above for more information on showtimes. Looking for something to do this week with your kids? Here's a list of family-friendly events happening in NYC. Check out Time Out New York and Mommy Poppins for more ideas! It's officially pumpkin-carving season! Head over to the New York Botanical Garden to check out Food Network's two-time winning pumpkin sculptor, Ray Villafane, transform giant pumpkins into Halloween-themed art for the Haunted Pumpkin Gardens. Children under 2 attend for free! Learn more here. With Halloween right around the corner, your kids will love this pumpkin and jack-o-lantern themed story time at the Mount Vernon Hotel Museum & Garden, complete with fun take-home toy. Learn more here. Kids ages 3 to 11 can enjoy a FREE game of laid-back soccer, where they can rid of some energy while learning basic soccer skills such as dribbling, passing and team work. Learn more here. 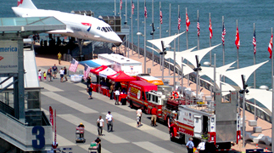 While you're at it, check out all of the great events for kids at Battery Park here. WHEN: Every Tuesday through October 28th, Kids 3-4 years: 2:30-3:15, Kids 5-7 years: 3:30-4:15, Kids 8-11: 4:30-5:30. Let your children delve into their imagination in this creativity-inspired play space. Children have full freedom to explore this 3,000 sq. foot facility, creating their own fun experience. Reservations are required, and snacks and drinks are included. Learn more here. 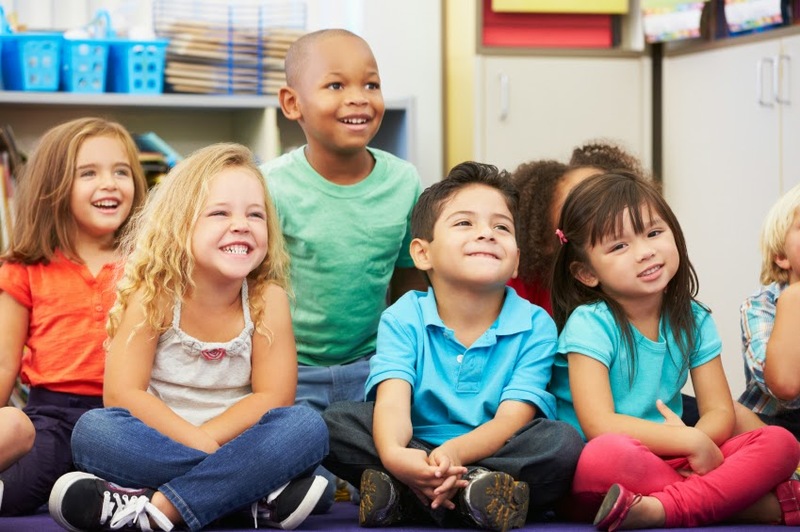 There have been many significant efforts this week around the United States to improve the quality and accessibility of early childhood education, so we wanted to highlight some of them for you. There was a meeting of the Early Childhood Educators, also known as the Montour County Advocates for Children. Their aim is simple yet effective: prepare young children for school. The Early Childhood Educators engage with families in their community, providing transition support for children going into an early learning setting or Kindergarten, and they provide various resources for childhood education. They provide families with information to help them choose an early education center for their children and they provide information on child development and the appropriate learning activities for the child's age. They also hold events that showcase early learning such as displaying children's artwork in downtown Montour and fun events at the courthouse. The Early Childhood Educators of Montour County group is comprised of various members of the community, all sharing the common interest of bettering the quality and availability to early childhood education. They will meet three more times this year, and we're looking forward to their next initiatives. As you may have seen in a previous blog post (here), PNC has recently developed the "Grow Up Great" plan, which is focused on preparing young children for school. This plan has many different initiatives, and this past week they have given a grant that will benefit over 700 children in Charlotte. The initiative is called "Get Ready with Words" and the aim is to expand children's bilingual vocabulary, and to improve early childhood education in low-income areas. Further meetings to discuss the program will occur this week, so check back for updates! BIG news in early childhood education in Chicago. Earlier this week it was announced that the City of Chicago and Chicago Public Schools will be expanding access to early childhood education, particularly in low-income areas. A $9.4 million investment by 10 schools and a $4.5 million state capital grant will allow 1,500 young children to attend Pre-K.
Chicago's mayor, Rahm Emanuel, said: "In Chicago, high-quality pre-k and kindergarten is not the exception, it is the expectation. This will provide all of our students with the foundational learning necessary to take them on to college, career, and a successful future." Let's wrap up this list with an ECE inititaive close to home. On October 19th, SUNY Cayuga Community College in Auburn will host the Seanna M. Donley "Growing Together" Early Childhood Education Conference, and it was just announced that Lisa Murphy, founder of the Rochester-based childhood education company Ooey Gooey will be the key note speaker. The conference provides Cayuga County educators with workshops where they will learn new valuable information from experienced educations and professionals. Lisa Murphy's goal is to create child-centered environments that foster learning in a safe and fun space. Murphy's seven points that she feels holds the foundation of ECE together are "create, move, sing, discuss, observe, read and play". We'll be sure to provide an update after the conference! There have been many efforts made in the United States in recent months in early childhood education, so this is just a snapshot, but we will continue to provide updates! Feel free to comment and share other initiatives that you have heard about. We're always interested to see positive steps taken for ECE. 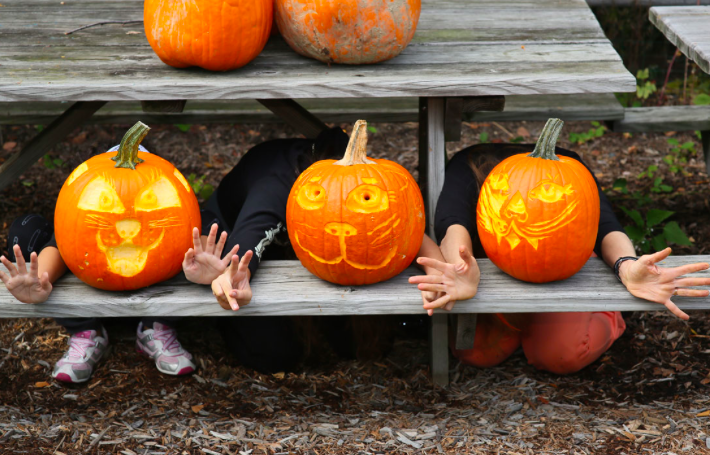 We have some great unique events this week lined up for you and your children to enjoy in this beautiful fall weather! As always, check out Time Out New York and Mommy Poppins for more fun events for you and your family! 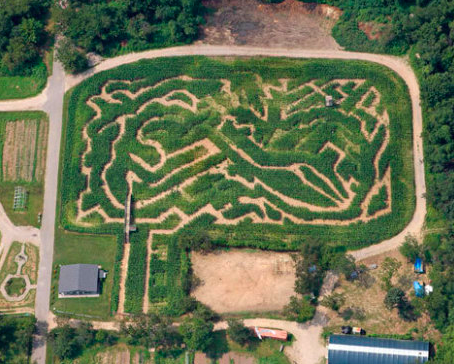 Help your kids gather clues and solve puzzles to work their way through this three acre corn maze, and afterwards enjoy a walk through the pumpkin patch. The maze is free for children under three! Click here for more info. Muppets AND Superheroes? 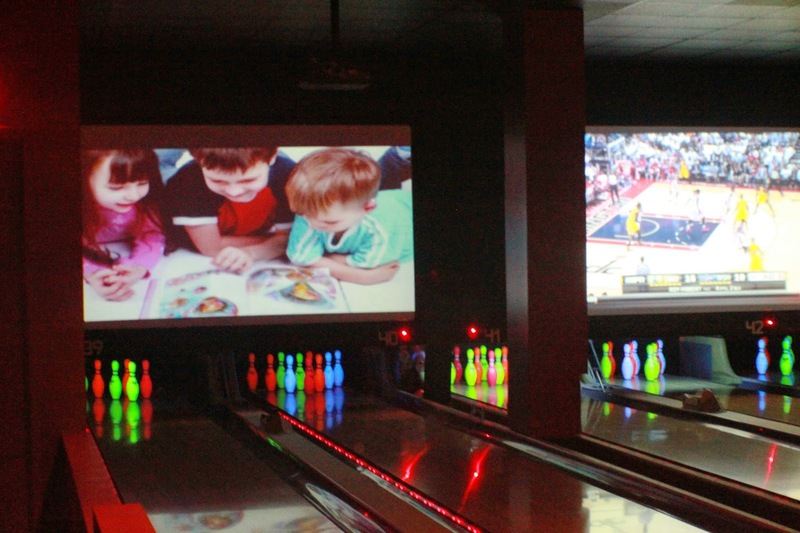 This event has them both, and your kids are sure to love it. They'll enjoy clips, trivia, sing alongs and giveaways. The best part? 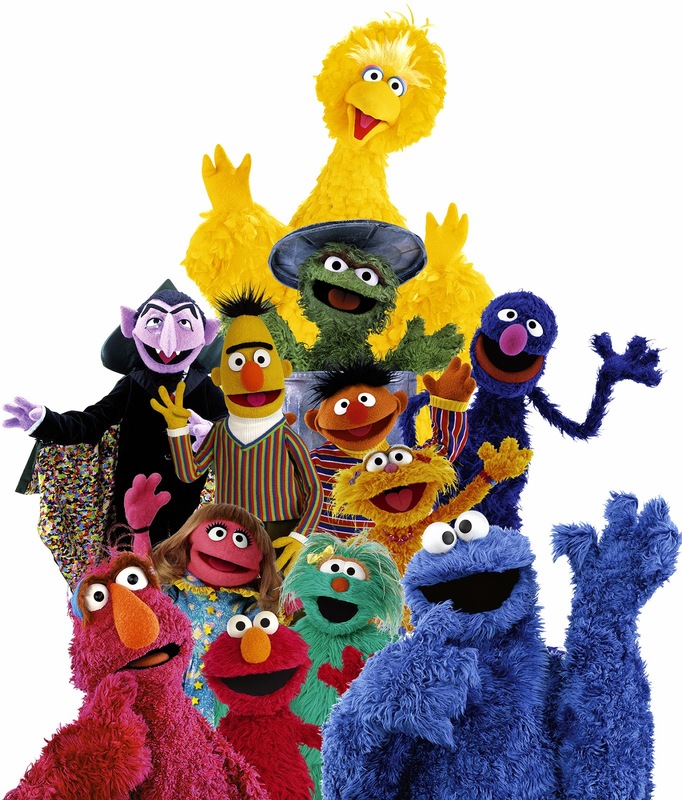 Parents can enjoy muppet-themed drink specials while their kids enjoy the muppet show. Learn more here. For your little aspiring firefighters: here is their chance to meet New York firefights, hear heroic rescue stories, learn some fire safety tips and enjoy demonstrations. Learn more here. Who doesn't love LEGOs? (Except for parents who have had the misfortunate of stepping on them of course). 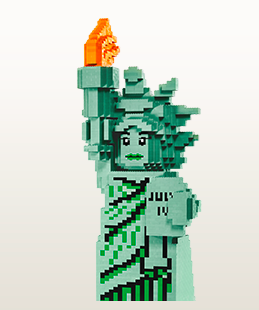 Families have been invited to come help the LEGO Masters build a 20-foot tall LEGO model of the Statue of Liberty out of legos in Madison Square Park. Admission is free! Learn more here. WHERE: Lego Store and Madison Square Park, 200 5th Ave. at 23rd. Take advantage of this beautiful weather while we have it, and get outside with your little ones. Here are some ideas for things to do this week in New York with your family. Mini golf under a rocket ship? Sounds like a kid's dream to us. With nine holes full of space-related challenges and learning opportunities, kids will love this fun twist on a classic game. Click here for more info. Yes, this is exactly what it sounds like. 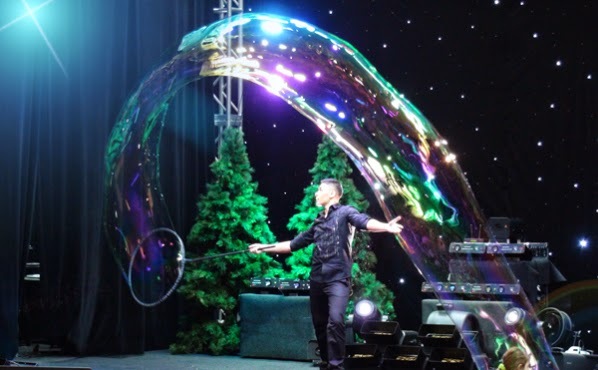 "Bubble scientist" Fan Yang puts on an amazing show consisting of sequences of bubble magic, using smoke, lights and other fun effects that kids will LOVE. Seriously though, is there anything that kids love more than bubbles? (Who are we kidding, we still love bubbles). WHEN: September 24th-28th, varying times. Click here for details. 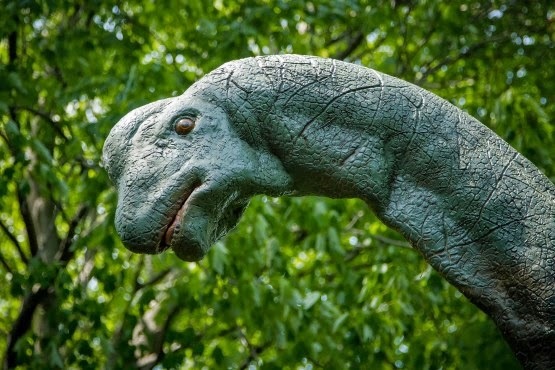 Bring your little dinosaur enthusiasts to the Bronx Zoo to witness over 20 life-like dinosaurs on an interactive wagon tour, and watch them enjoy learning! Learn more here. For more ideas, visit Time Out New York or Mommy Poppins. There's some big news in the world of early childhood education! In a rare bipartisan agreements on Monday, the House of Representatives passed a bill to reauthorize The Child Care and Development Block Grant Program. This bill offers vouchers to low-income families that will allow them to have their choice of childcare providers, including faith-based providers. "As of now, fewer than three of ten 4-year-olds are enrolled in a high-quality preschool program" (U.S. Dept. of Ed. ), and hopefully with the passing of this bill we will begin to see a change in that number. While the Republican and Democratic party see different benefits of the program, they are on the same page when it comes to the absolute essentiality of early childhood education reform, and we couldn't be happier with their agreement. -It will allow for low-income parents to work, knowing their children are being well taken care of. -It will allow for the children of low-income families to have access to high-quality early education, allowing for early brain development and allowing for more children to start off on the same page in Kindergarten. There is of course always more that can be done for early childhood education, but the passing of this bill is a step in the right direction, and we're looking forward to seeing further reform for ECE. Learn more about the U.S. Department of Education's plan for the future of early childhood education here. With autumn on the way and the back-to-school season upon us, events for kids are popping up all over New York City. If you can find some time in your busy back-to-school schedules, check out some of these great family-friendly events with your littles ones! 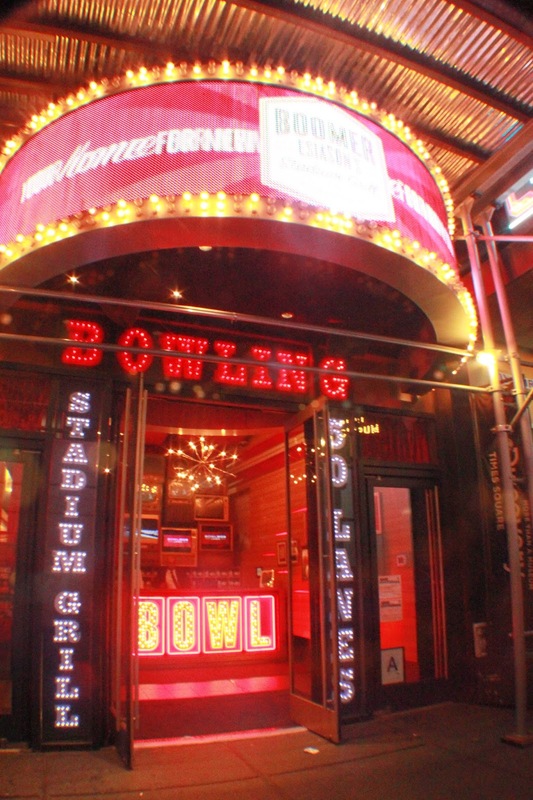 Check out Time Out New York and Mommy Poppins for more family-friendly activities and events. 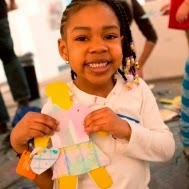 The Children's Museum of Manhattan is bringing their "Jazzed! The Changing Beat of 125th Street" exhibit to kids' attention with a series of fun musical performances designed for kids of all ages. Tickets are required for this event. Click here for more info. Head over to Governor's Island where where the Children's Museum of the Arts is will be hosting family art workshops led by teaching artists. The event is for children ages 1-12, and the best part: it's FREE! Click here for more info. 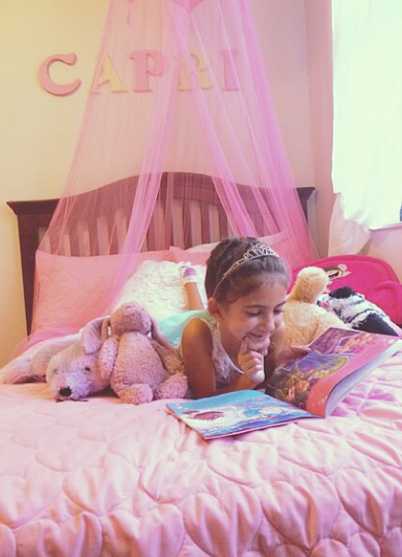 It's no secret that HMESF loves to see children enjoying books. Celebrate childhood literacy and welcome the new season with a story time centered on the theme of changing seasons, followed by a leaf and flower hunt activity. This event is free with museum admission. Click here for more info. 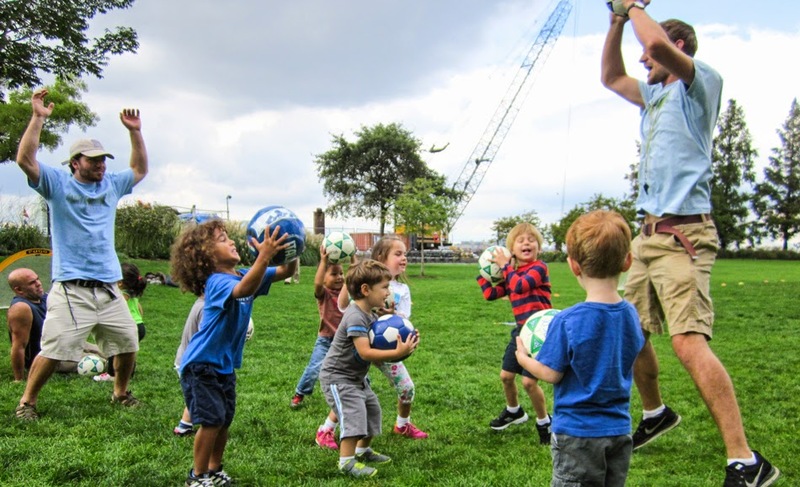 The summer-long Kids Block Party is wrapping up on the 18th with the Mil's Trills interactive instrumental band, perfect for young children (and parents) who love music and dancing. Click here for more info. The New York Public Library and Sesame Workshop worked together to create this installation that Sesame Street fans, both young and old, are sure to love. The exhibit includes scripts, storyboards, film clips, Muppet star appearances including Oscar and Elmo, activities and so much more. Also, since it's located in the library, it's FREE! Click here for more info. 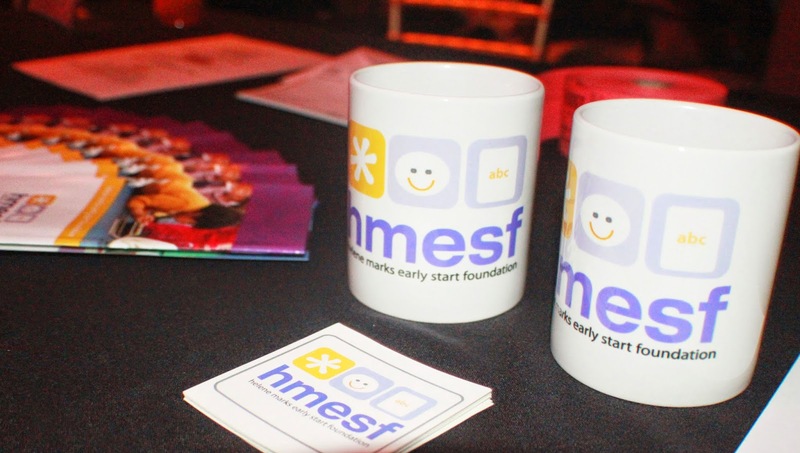 As an early childhood education foundation, HMESF feels that an educator who makes it his or her primary goal to encourage, support, and instill confidence in students is one to be valued and appreciated. The role of a teacher is one that requires resilience, patience, positivity and creativity, and it takes a very special person to represent all of these qualities. Estella Rash of the University Child Development Center at the University of Missouri has gone above and beyond as an educator for over 35 years, and is being rewarded for her tremendous impact on the children she has taught with the 2014 PNC Bank Early Childhood Education Award. Rash's exemplary teaching style since her beginning in 1981 has been individualized curriculum, as Rash believes in catering to each student's individual learning styles and interests. She has also structured her teaching on the belief that curiosity, individual expression, and idea sharing are absolutely fundamental for children's development. Rash allows her students to feel free to express any and every thought they have, without fear of ever being wrong. Teachers, whether they be certified instructors, family members, or community figures, are essential to early childhood educational development. Brad Henry said, "A good teacher can inspire hope, ignite the imagination, and instill a love of learning." Estella Rash has proven to be a truly great teacher by this definition, and HMESF commends her hard work, and appreciates everything she has done for early childhood education. Estella will be presented her award by the St. Louis American Foundation at its 27th Annual Salute to Excellence in Education Gala on September 12th. Learn about the PNC Grow Up Great program here. 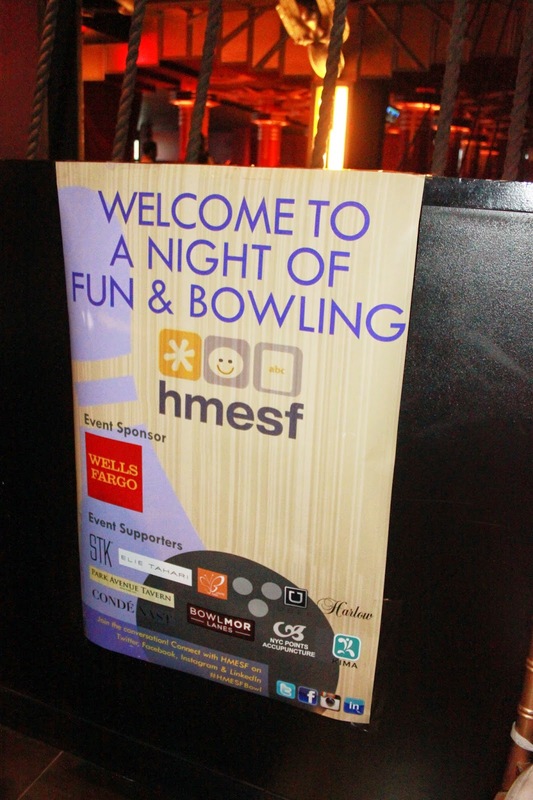 Thank you to everyone who attended our Bowling Event last Thursday evening. First and foremost, I want to welcome the “Events and Fundraising Committee,” (E&FC) to the HMESF family. This was our first collaborative effort and marks the future of HMESF. Congratulations! De Blasio’s campaign promised to provide universal, full-day, pre-kindergarten programs to NYC by taxing the wealthiest residents. De Blasio presented this proposal in November’s election, which captured 73% of the vote, and has presented this to the state legislature since being elected. However, Governor Andrew Cuomo has been hesitant to agree. 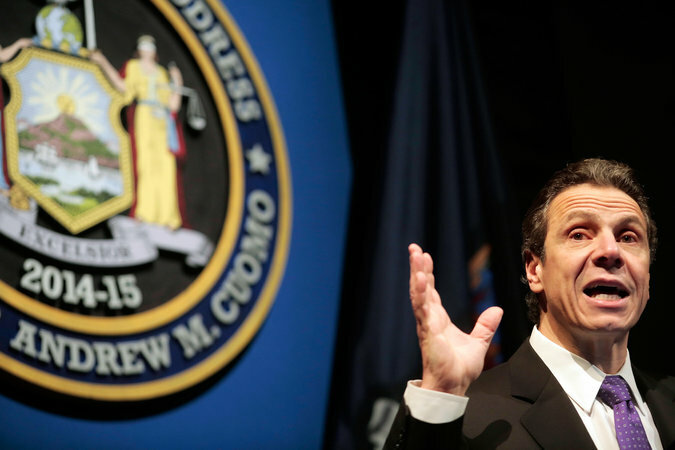 Cuomo, who is up for re-election this fall, has built his campaign promising to reduce taxes. Both de Blasio and Cuomo acknowledge the immense benefits of implementing a universal pre-K program but they continue to be at odds in terms of funding. In an effort to compromise, Gov. Cuomo proposed a budget plan last January which would fund a universal, full-day pre-K program for the state and still cut taxes. He wants to expand and standardize the quality of pre-k programs across the state, instead of just in New York City. Cuomo said, “Once you say you should do pre-K in rich communities and poor communities, upstate and downstate, then you need a mechanism of distribution, which is the state and that’s why state financing makes sense.” And in his opinion, the state is in the best position to provide the classes. Amidst claims that having NYC pay for its own early education programs may negatively affect children of the rest of the state, a Times Union op-ed article offered insight to this dilemma. By allowing de Blasio to tax the richest people who live and work in NYC, it can cover pre-K for up to 750,000 children, and open up the state’s budget for the rest of New York school districts. A Quinnipiac University poll shows that all New York State voters, by a 47-37 percent margin, including 49 - 40 percent among New York City voters, back Cuomo's plan for universal pre-K with no new taxes over de Blasio's plan to fund pre-K with a city income tax hike on high-income families. "Just about everyone in this most liberal of states likes universal pre-kindergarten and they think - overwhelmingly - that kids will learn and that it will help them out of poverty," said Maurice Carroll, director of the Quinnipiac University Polling Institute. "But voters prefer Gov. Andrew Cuomo's no-new-taxes approach to New York City Mayor Bill de Blasio's tax-the-rich plan to pay for those new classes." The state’s budget is due for approval by April 1 and the legislative session lasts until June, so there is still time for de Blasio and Cuomo to come to a solution. Until then, Mayor de Blasio continues to make his way through NYC schools to support our current pre-K programs. A recent article by the Epoch Times analyzed de Blasio’s education expansion which will not only address the city’s need to improve education, but also the need for new jobs. 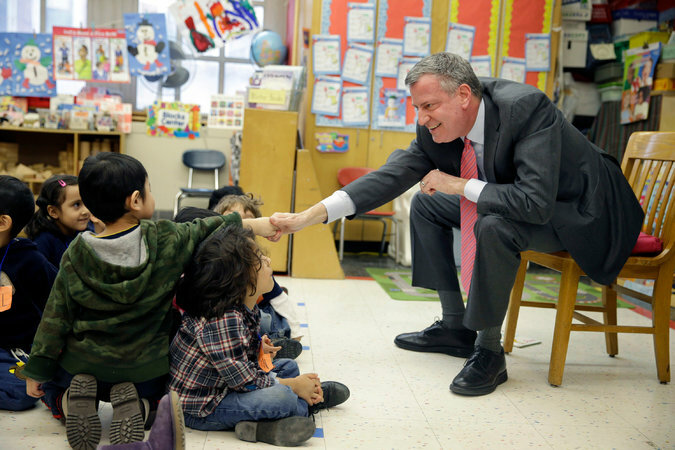 The mayor’s push for universal pre-K aims to open 11,880 new pre-K seats by September. Given that the staff requirement is one head teacher and one assistant teacher per 20 students, it would translate to 1,188 new jobs. Another 11,760 existing half-day seats are expected to be converted to full-day seats, moving some 1,176 teachers from part-time to full-time jobs. 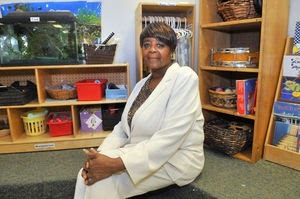 About 10 percent of the pre-K seats would serve special needs students. That would mean hundreds of professionals will be needed, such as speech therapists. With support for both de Blasio and Cuomo’s plans, it is important to keep in mind the general consensus that implementing quality early education should be in our near future. A total of 78 percent of voters in the Quinnipiac poll say universal pre-K would be "very effective" or "somewhat effective" in improving education for all New York State children. We’ll be sure to follow the status of early education in New York City and New York State while de Blasio and Cuomo come to a resolution.